the experimental plots. A leguminous cover crop Arachispintoi and crop rotation system were also adopted to increase the soil fertility and soil biodiversity. The relative activities of the epigeic springtails were determined and the taxonomic groups that responded very well to the organic inputs were also identified. The raw data were normalized by log (x+1) transformation and subjected to analysis of variance and Duncan’s multiple range test. The results indicate that epigeic springtails responded positively but differently to organic inputs and have the ability to recolonize burnt plots. 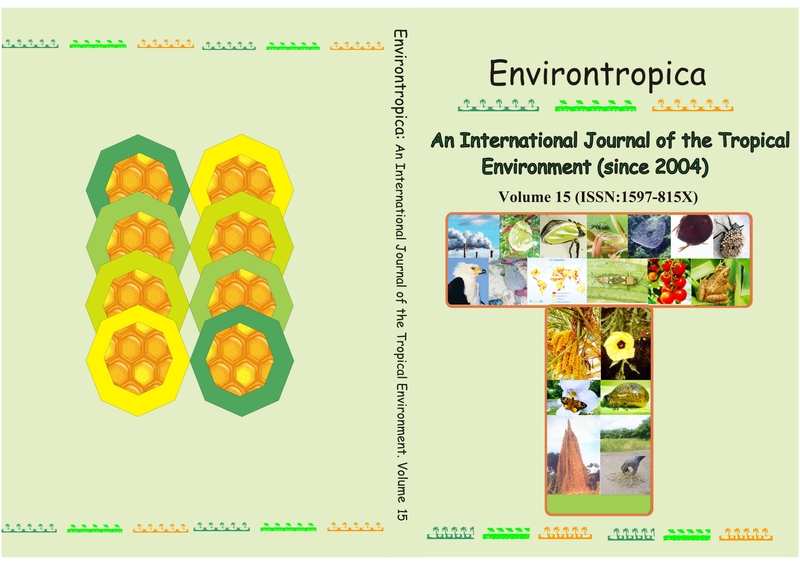 Four genera of epigeic springtails, Pseudachorutinae,Cryptopgus,Ceratophysellaand Entomobrya benefited more than other generafrom organic fertilization. These genera will be good experimental tools in laboratory studies on the response of epigeic springtails under organic management.